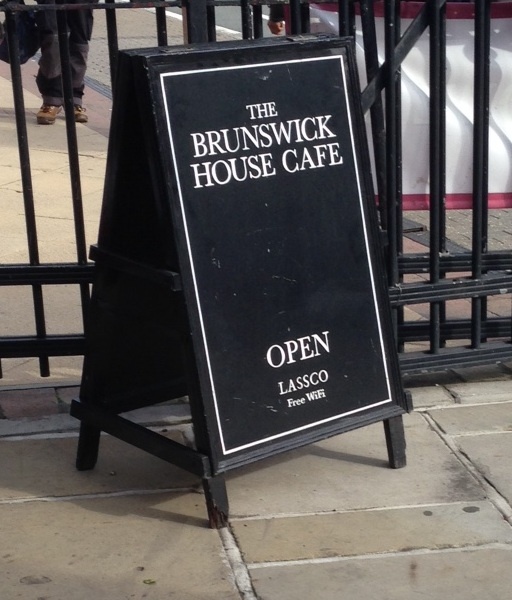 Last Thursday, I had the opportunity to try the coffee at Brunswick House. The old building which houses this cafe/restaurant sits on the corner of a major junction two minutes walk from Vauxhall tube station and feels somewhat out of place with the buildings around it. Inside, the incongruity continues with quirky decor and bookcases stacked with all manner of titles. Coffee beans are supplied by the roasters Coleman Coffee. 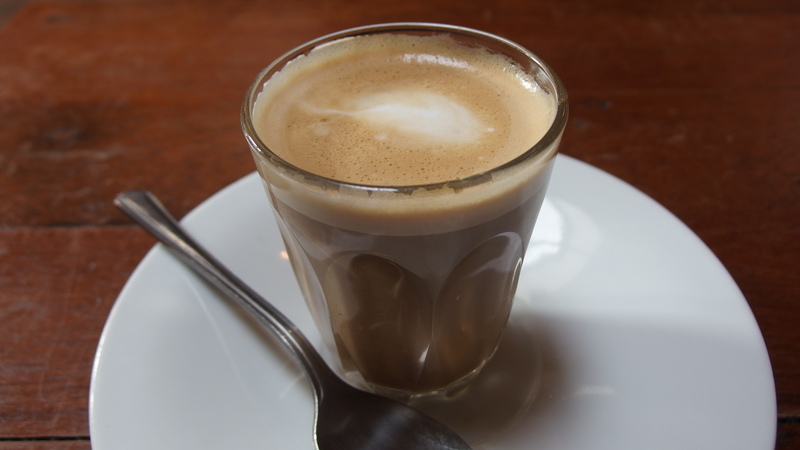 As it was a lunchtime, I had a very enjoyable cortado (an espresso “cut” with steamed milk in a ratio of 1:1 – 1:2) which was full of flavour but not too bitter. With friendly staff and a spacious interior, this is definitely a place to return to whenever I am next in the Vauxhall area. However, The Daily Grind is not so much interested purely in the coffee as in the connections between what we can observe in the coffee cup and the physics of the wider world. At Brunswick House, this came in the form of the link between one way in which we know that space is cold and a seemingly mundane observation, the condensation of water onto cold surfaces. Lifting my glass to appreciate the cortado, I noticed a number of water droplets on the (cold) saucer underneath the (hot) cup. As I kept the cup on the saucer, the saucer became warmer and the water droplets evaporated. By the time I finished my coffee, the saucer was dry. We can observe a similar phenomenon on the inside rim of a cup of steaming hot coffee. As we watch, water droplets form around the cold rim of the cup before starting to evaporate off again as the cup gets warmer. How is this related to the coldness of space? For that, we have to digress to an essay written two hundred years ago about dew. The cortado on the saucer. William Charles Wells published his “Essay on Dew” in 1814 after two years of patient observation of the circumstances under which dew formed in the mornings. By carefully noting the weather conditions of the night preceding the dew fall and the surfaces onto which the dew formed, Wells came to some important conclusions. Firstly, the surfaces onto which dew formed suggested that the earth must be radiating heat into space; space must be cold. Secondly, the earth lost more heat on some nights than on others, it appeared that certain clouds kept the surface of the earth warm. If Wells was right it suggests that there is a natural greenhouse effect which is helpful for life on earth. This in turn suggests that the surface temperature of the earth is the result of a delicate balance between heat transfer to and away from our planet. Upsetting this balance (by introducing more greenhouse gases for example), could have serious consequences. Was Wells right? Perhaps we should start noticing when and where dew forms. So, over the next few weeks, make a note of dew laden mornings. Where did the dew form and under what circumstances? Do you agree with Wells? Let me know in the comments section (below). In a few weeks we will revisit Wells and his essay, in the meanwhile, enjoy your coffee!